In 1818, Mary Shelley wrote Frankenstein, a pivotal book that changed the course of literature forever. Now, two-hundred years later, Kiersten White created a deliciously dark retelling of the haunting story we all know and love. 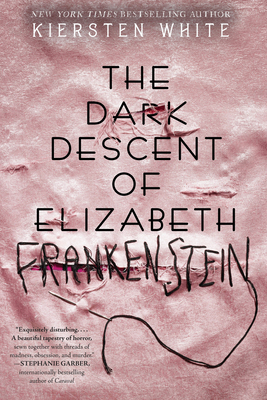 The Dark Descent of Elizabeth Frankenstein features a young girl, Elizabeth, as she navigates the precarious life she is forced to live when she becomes best friends with Victor Frankenstein himself. Victor, a boy who thirsts to know the human body inside and out, will go to any extent to defeat death itself, even if it means having to sacrifice the only girl he has ever loved. The gothic setting and twisting plot breathes a whole new life into the age-old story that will captivate readers who love mystery and thrill. The question is, will Elizabeth be able to make it out alive?